Master of Science (Sustainable Infrastructure) or in short, MSSI, is a programme that offers substantial knowledge for graduate and professional in engineering, science and technology background as well as opportunities for further updating and enhancing current knowledge in sustainable infrastructure. 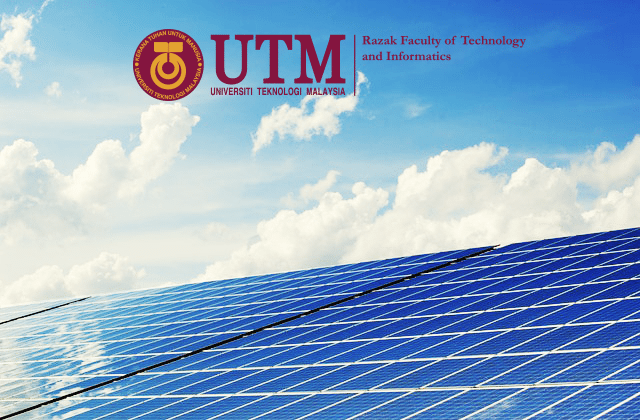 This programme is an application and industrial-driven, where participants can directly add value to their employers and industry in general via the lectures delivered by experienced industrial speakers in the area of sustainable infrastructure throughout the modules. A total of 46 credits is required for graduation, comprising 12 taught modules of 3 credits each and a master project worth 10 credits. The duration of study is 1½ years for full-time and 2 years for part-time study. This programme aims to prepare professionals in the engineering, science and technology-based organisations working for transition into senior executive positions or senior engineering (or other professional) management roles towards the preparation of life-long learning. Sustainable urban growth is often linked to crowded conditions with skyscrapers and infrastructures such as public transport systems, systematic drainage systems and renewable energy supply. Such an infrastructure system employs energy for air conditioning, lighting, water distribution, ventilation, internal transport, landscape and various services. All this is needed to make the city a safe, comfortable and healthy environment for its residents. Unplanned urban environments will cause various problems such as surface runoff increase which can cause flash floods and soil erosion, river pollution, traffic congestion, energy waste and others. Malaysia needs to build a sustainable infrastructure industry that emphasizes professionalism, quality and productivity through world-class, innovative and knowledgeable industry practitioners. Industry practitioners need to address key challenges in inefficient and ineffective processes, procedures and practices. Manage project development and organizations related to sustainable infrastructure engineering with a sound knowledge in facilitating local and international industries. Lead and work together as a team and effectively communicate through writing and oral in the field of sustainable infrastructure. Implement obligations with competent, professional, ethical, trustworthy academic capability, creative and sensitive to sustainable infrastructure issues. Apply current knowledge in the field of sustainable infrastructure extensively and continuously. Identify and strategize entrepreneur opportunities in sustainable infrastructure development through new knowledge. This program is offered on full-time basis and based on a 3-Semester Academic Year with several subjects being delivered and assessed in each semester. Assessment is based on final examination, presentation, case studies and project presentation conducted throughout the semester. Pass all courses with a total accumulated credit of 46 and pass CGPA of 3.0 and above. An applicant has applied for the award of Master of Science.